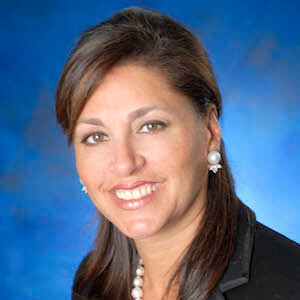 Azita Aghravi has been a highly successful commercial sales broker for over 30 years. Over the past twelve years Ms. Aghravi has closed over $1.5 billion of sales of both commercial and residential properties. Ms. Aghravi’s particular areas of concentration are elevatored apartment buildings, vacant buildings for hotel or residential development, walk-ups with a strong retail component, office buildings and commercial condominiums. Ms. Aghravi is a member of The Real Estate Board of New York. She is also on the executive board of WIZO USA and is Vice President of the Sephardic Society of Manhattan. She was the recipient of Eastern Consolidated’s distinguished 2004 and 2007 “Broker of the Year” Award and was also designated a “Commercial Broker All Star” by Real Estate New York, a “Woman of Achievement” by Real Estate Weekly and New York Real Estate Journal. Ms. Aghravi is often cited in the press on a number of topics relating to commercial real estate. Ms. Aghravi holds a B.S. from New York University. She is fluent in Farsi, Hebrew, and Spanish. Ms. Aghravi’s notable transactions include: 342-344 West 72nd Street aka “The Chatsworth”, a elevatored landmark property for $150,000,000; the Torchlight Portfolio, an 8-building note sale for $65,250,000; 1146-1150 Avenue of the Americas, an office/hotel for $39,000,000 and 364-370 West 18th Street, a pre-war mixed-use residential building for $33,800,000.